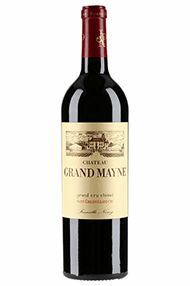 Château Grand-Mayne is a St-Emilion Grand Cru Classé property located north-west of the town of St-Emilion. Its handsome château was built in 1767 and since 1934 has been owned and run by the Nony family - Jean-Pierre Nony has been at the helm since 1975. 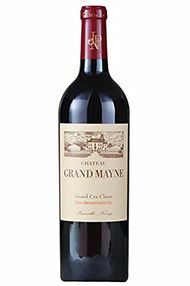 Grand Mayne has 19 hectares of vineyards, superbly sited on the edge of a limestone plateau, where the soils are rich in clay, limestone and iron. The wine is a blend of Merlot (70%), Cabernet Franc (25%) and Cabernet Sauvignon (5%). Fermentation takes place in temperature-controlled-stainless steel vats and the wine is aged in oak barriques (70% new) for 18 months. The ubiquitous Michel Rolland is a consultant and, not surprisingly, Grand Mayne produces a deeply-coloured, richly aromatic wine which is full-bodied and lush on the palate, displaying cassis, mineral and liquorice notes with hints of vanilla and oriental spices. 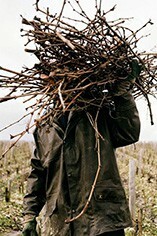 This 17-hectare vineyard produces a wine which is a blend of 75 percent Merlot, 20 percent Cabernet Franc and five percent Cabernet Sauvignon. Dark crimson in colour this has pleasing, generous aromatics of redcurrants and plum fruit. The texture is suave and harmonious, leaving a wine which is fresh and smooth.